Although surrounded by a musical family growing up in the small town of Rosman, NC, it wasn't until the age of 18 that Bobby Powell's journey in music began. With monetary gifts he received for his high school graduation, Bobby purchased his first guitar. In a few short months he was in his first band, the gospel group Heartfelt based in Arden, NC. It was during this time he first met Tim Jones; when Heartfelt and Jones' family band, The Spiritual Lights, were featured together in gospel segments on WSQL 1240 AM radio. Soon after, Bobby joined the Spiritual Lights on rhythm guitar. 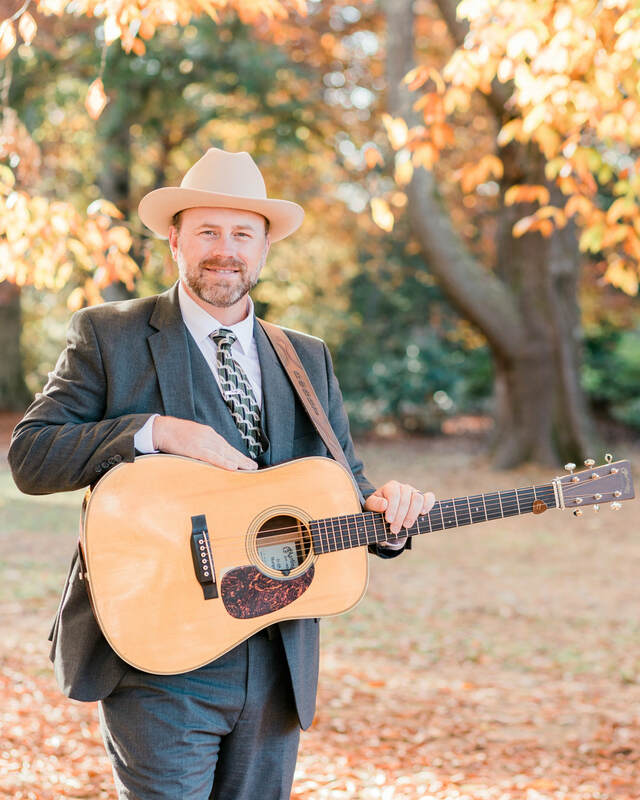 In 2001, Bobby met Roy Chapman, a western North Carolina musical icon and was hired by Chapman as guitarist in his True Blue Grass band. Tim Jones followed in 2002. During this period Bobby and Tim honed their singing and playing skills under the tutelage of Chapman. In 2007, after the release of their album "Nothing So Blue", Bobby and Tim formed the group Carolina Blue along with banjo player Don Austin. Some of Bobby's musical influences are Bill Monroe, Flatt & Scruggs, Doyle Lawson, and Larry Sparks. The biggest influence by far has been his friend Roy Chapman, who passed away in 2013. In addition to bluegrass music, Bobby is an avid baseball fan and coaches in the Transylvania Little League. Bobby lives in Brevard with his wife Kayla and his children, Joseph, Emma, and Ava.